Meanwhile, the George Papadopoulos filing contradicts Jeff Sessions' testimony to Congress. President Trump nodded with approval when a former campaign adviser suggested a meeting between Trump and Russian President Vladimir Putin in 2016, according to a court filing by lawyers seeking a lighter sentence for the adviser, who has pleaded guilty to lying to the FBI about his Russia contacts during the campaign. The description of the meeting with Trump and then-Sen. Jeff Sessions was revealed Friday in the filing, which argued that George Papadopoulos should be spared jail time because his lies did not hinder the special counsel’s probe into Russian interference in the 2016 election. The attorneys wrote that Papadopoulos’ “motives for lying to the FBI were wrongheaded indeed but far from the sinister spin the Government suggests. 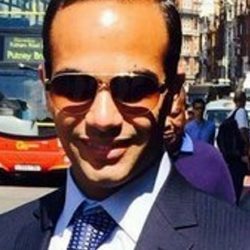 Caught off-guard by an impromptu interrogation, Mr. Papadopoulos misled investigators to save his professional aspirations and preserve a perhaps misguided loyalty to his master,” an apparent reference to Trump. Papadopoulos, 31, pleaded guilty last year to lying to the FBI about key details of his conversations with a London-based professor who had told the adviser the Russians held dirt on Democratic presidential candidate Hillary Clinton in the form of thousands of emails. Contesting prosecutors’ contention that Papadopoulos has provided little cooperation to the probe, lawyers argued that he has volunteered information in an effort to help – such as describing a March 31, 2016, meeting he attended with Trump and Sessions where Papadopoulos announced soon after introducing himself that he could get Trump a meeting with Putin. That account conflicts with what Sessions, now attorney general, testified to Congress. The attorney general has given shifting accounts of his contacts with Russia during the 2016 race. He has also changed his story about the March 2016 meeting in Trump Tower with Papadopoulos and Trump. At his confirmation hearing in January 2017, Sessions was asked whether anyone affiliated with the Trump campaign had communicated with Russia. Sessions said he was “not aware of any of those activities” and added that he “did not have communications with the Russians.” The Washington Post then reported that Sessions had spoken twice to the Russian ambassador at the time, Sergey Kislyak. “I did not, and I’m not aware of anyone else that did, and I don’t believe it happened,” Sessions said. Then, details surfaced about the March 2016 meeting at Trump Tower. “I had no recollection of this meeting until I saw these news reports,” Sessions told the House Judiciary Committee in November. He said he remembered offering “pushback” when Papadopoulos raised the idea, suggesting he had shut down the adviser’s proposal for a Trump-Putin meeting. J.D. Gordon, a former Pentagon spokesman and Trump adviser who said he was at the meeting, also recalled that Sessions “shut him down” when Papadopoulos offered to introduce Trump to Putin. Papadopoulos’s plea was one of the first major developments in the special counsel’s investigation that has produced the indictments or convictions of 32 people, including four Trump associates. On Friday, Republican lobbyist W. Samuel Patten, a Maine native, also pleaded guilty in federal court in Washington to failing to register as a foreign lobbyist in a case that began as a referral by Mueller’s office. Papadopoulos’s sentencing will be mark the close of the case that launched the FBI investigation of possible Trump campaign connections with Russia.